Whether you're starting out on your two-wheeled, a journey or just finished a world tour. 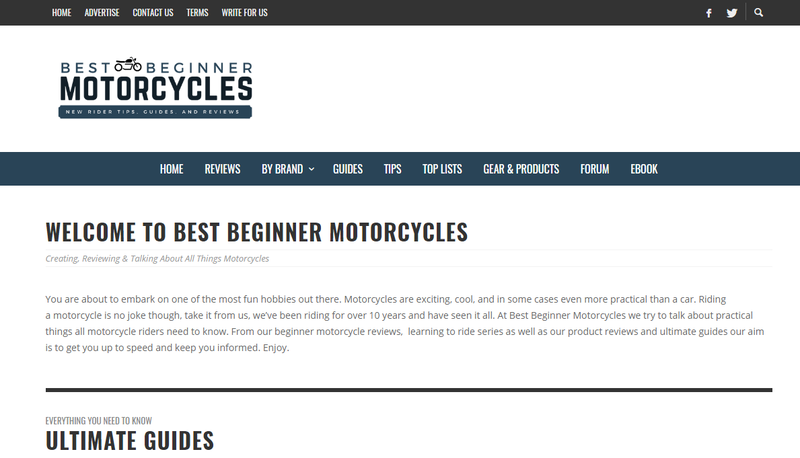 Perhaps you like one specific style of motorcycle or are seeking advice on your next purchase? 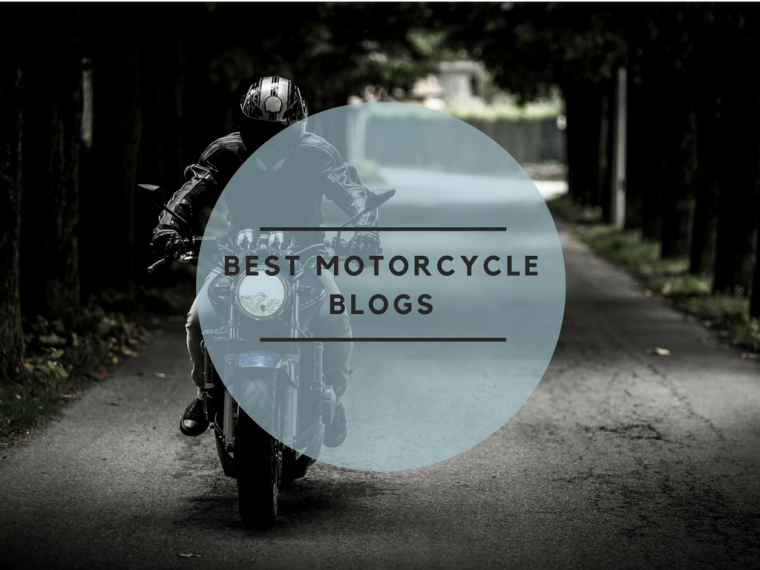 Amongst these 39 best motorcycle blogs, you will find everything you need from customized crash helmets, gloves to biker related legal advice and everything in between. 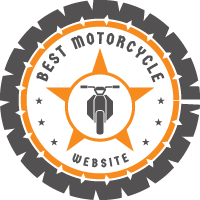 Most are written by motorcycle enthusiasts just like you. Some are great sources of information and will point you towards a good bargain. While others are just a great read. 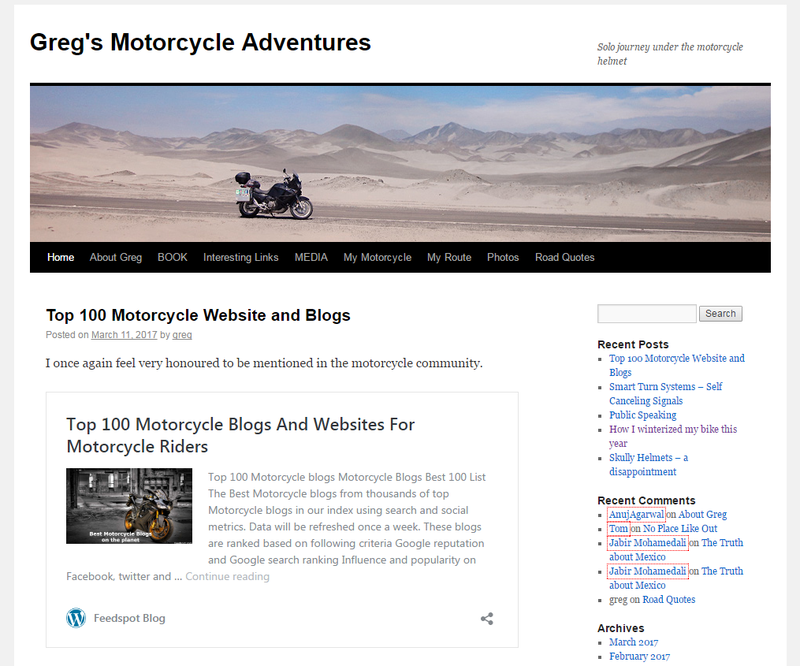 Scroll through the best motorcycle blogs, click on them, but above all, enjoy them. Are you in the top List? 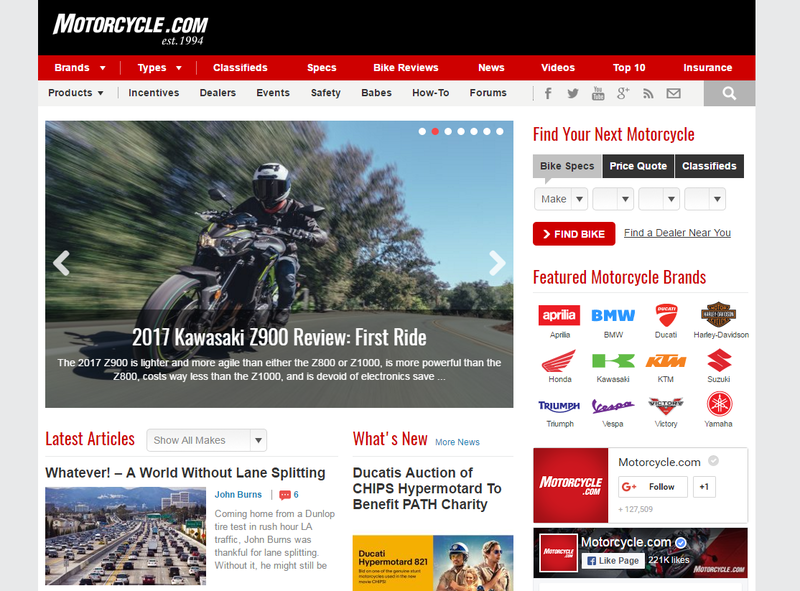 Packed to overflowing with news, road tests, product reviews and how-to guides, motorcycle.com is your one-stop guide to the wide world of motorcycling. The site is easy to navigate, the articles are backed up with great photography and the classy videos are both informative and entertaining. Check out the latest news here. The newspaper version of this site has been around in the United Kingdom since 1955 and has always been considered an industry leader. 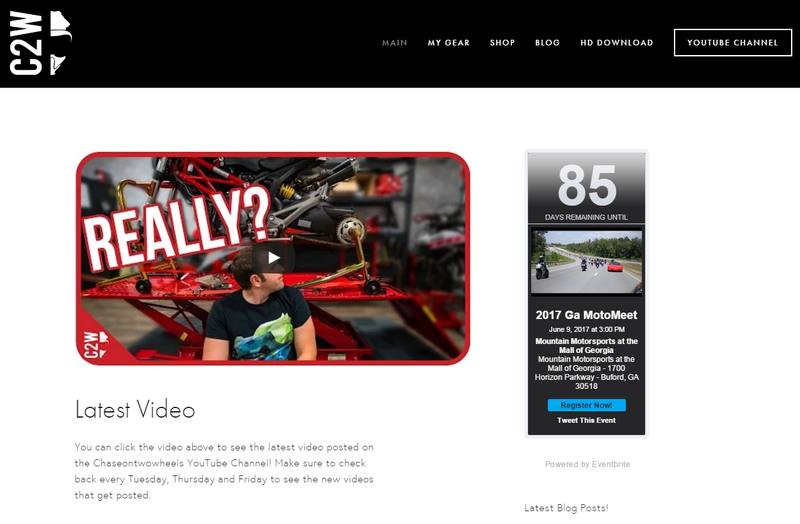 The website sets that bar even higher with video footage backing- up the road tests, news and product reviews. You can even find your next bike from their extensive classified section. Web edition of the glossy mag that’s been all over the newsstands since 1962. Once billed as the world’s largest circulation motorcycle magazine, even Hunter S Thompson wrote a column for them. Web edition is every bit as lavish and content rich as you’d expect. 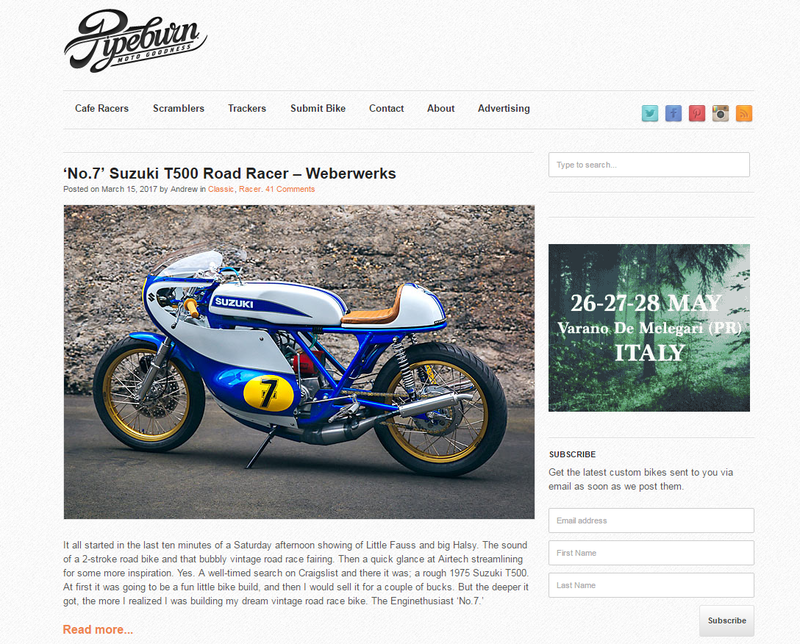 Slick motorcycle website with bucketfuls of content on the massive drop down menus. All the current models get either the ‘first view' treatment or hands-on road test. Lots of video footage accompanies the road tests and if you want a break from all the serious stuff, check out their Bizarre column. 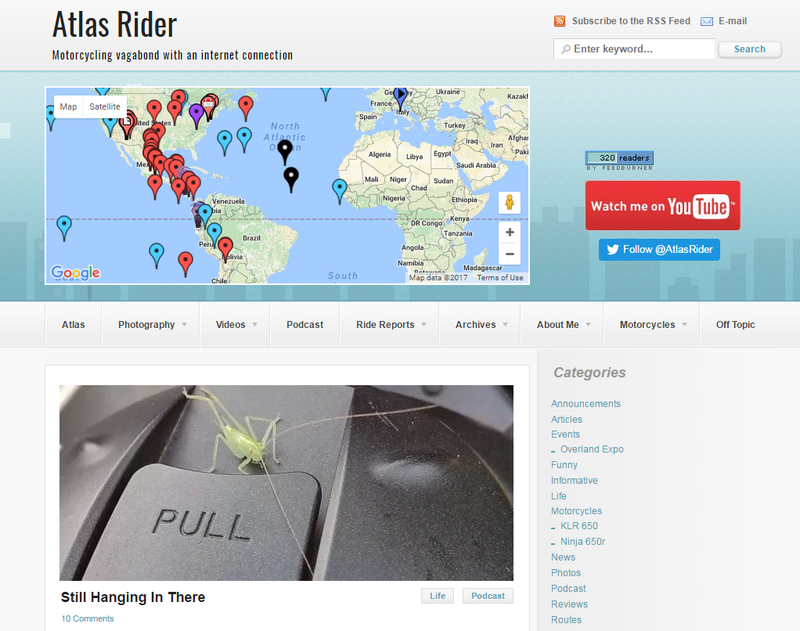 The seriously cool site for the thinking man's biker by freelance writer, James McBride. Articles aren't overburdened with an endless blurb and leave room for reams of great photos. Also, features readable and interesting editorial on everything from retro boats to documentary reviews. Ever consider heading overseas on two wheels? Don’t leave the house until you’ve checked out this site. The ultimate resource and then some. Written by people who’ve been there, done that and used the t-shirt to polish their bike. The Hub is full of bang up to date travel information from civil unrest to necessary paperwork. 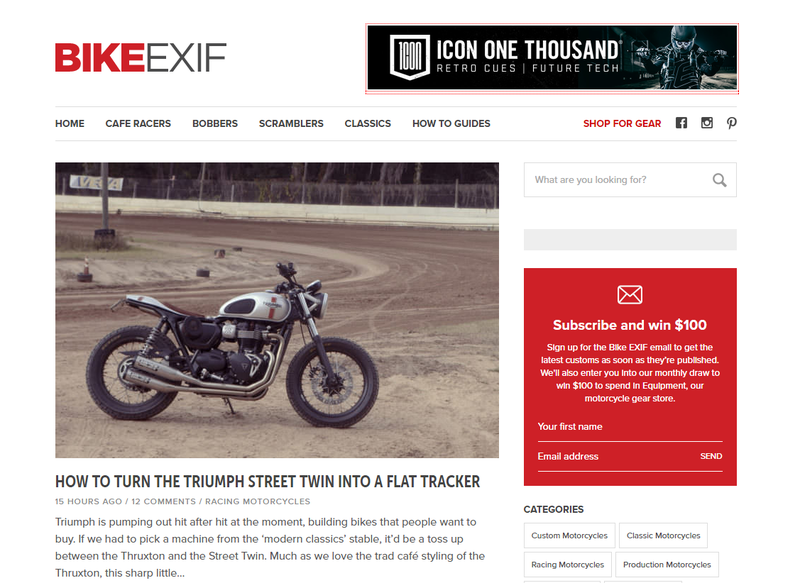 Another veteran US-based bike magazine that's made the transition to the small screen. The layout is easy on the eye and content heavy without being too in your face. As you'd expect from a full-time staff of writers, road tests, product reviews and news items are informative and well photographed. 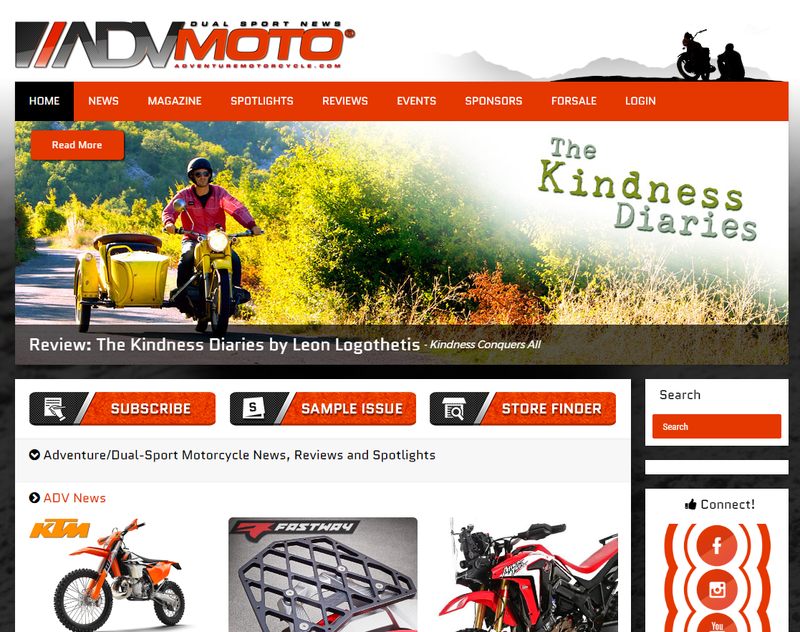 Engaging and informative articles that cover all aspects of the biking world and lifestyle. Easy going the front page that allows you choose from the drop down menus or you can just sit there, let the scrolling storyboard load and click on one that takes your fancy. Great history page too. Motocross Advice is focused on providing professional, unbiased information what dirt bike gear and parts to buy. 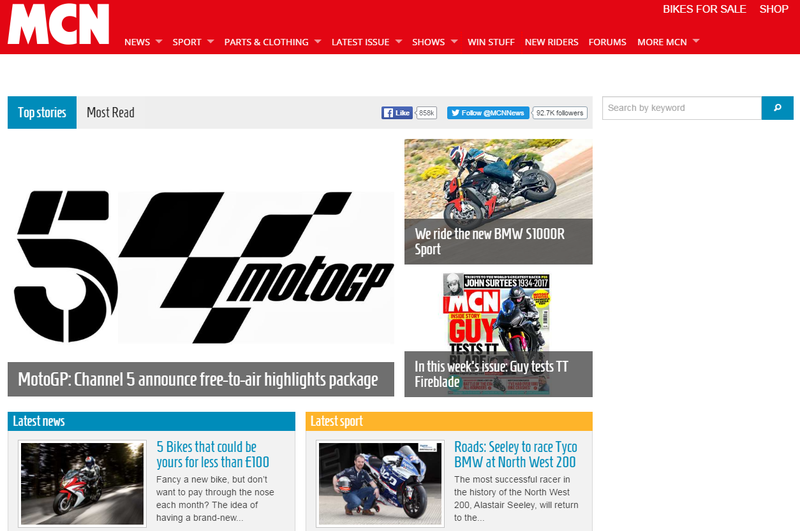 The owner of the site, Martin, has been professional motocross rider for over 20 years. Now he shares all the experiences he has to provide valuable information to everyone who need it. You can count on Motocross Advice if you need reliable information what dirt bike gear and parts to buy. 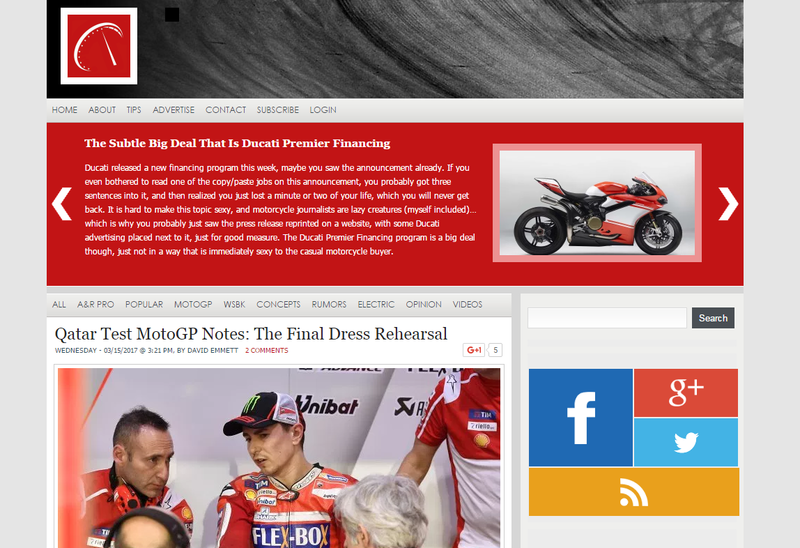 Well thought of website by Jensen Beeler who’s been filing in-depth motorcycling and racing news since 2008. 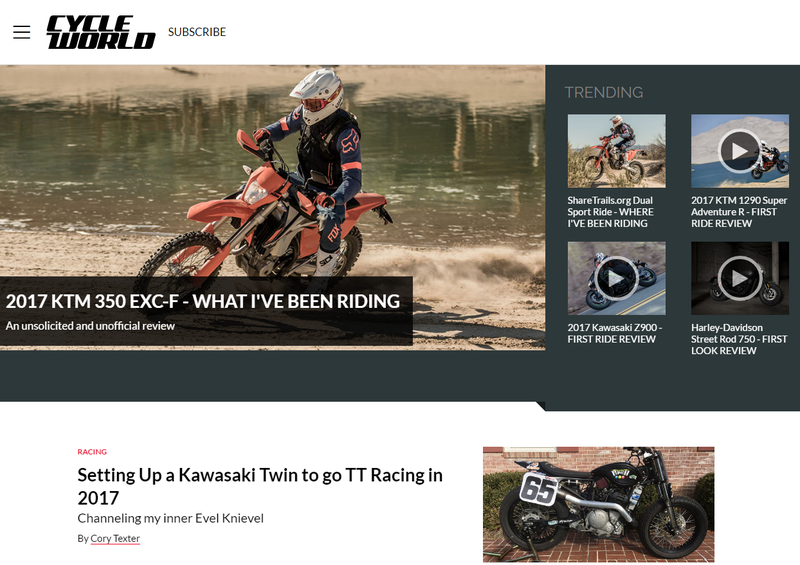 One of the best motorcycle blogs that also champions entrepreneurship and business issues inside motorcycling, as well as insights into the electric motorcycle industry. 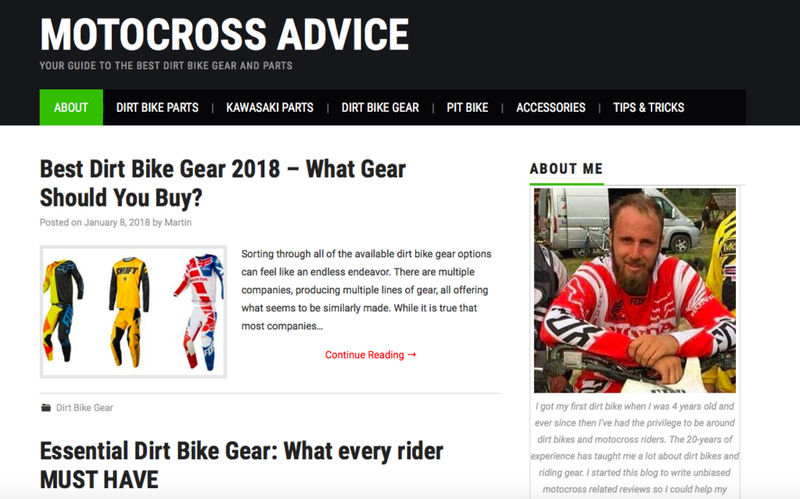 Going from a part-time blog to full on custom bike site in eight years and amassing almost 400,000 Facebook followers in the process is no small potatoes. And judging from the standard of feature bikes in the Café Racer, Scrambler and Tracker sections, it’s not hard to see why. A website designed to give a preview of what’s available in the paid for print version of the magazine, although obviously, you can pay to download it too. Aimed at the touring rider, it features articles on tour related kit and journeys across the US, Europe, and f﻿﻿urther afield. Classy monochrome layout website that does exactly what it says on the tin. 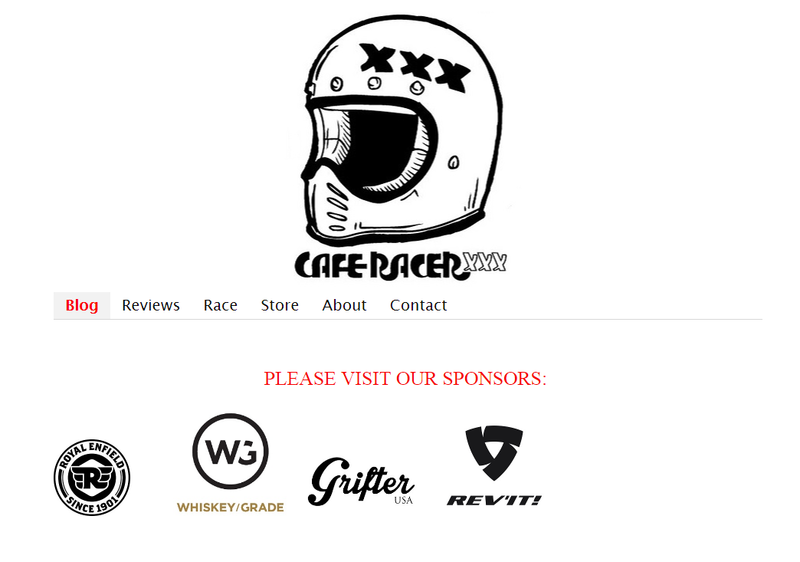 If you live, eat, and breathe café racers, then this is the place for you. They also review riding gear as well as the occasional factory bike, although the majority of features are beautifully photographed café racers. Cyril Huze isn’t just an amazing custom bike builder, he’s an excellent writer too. 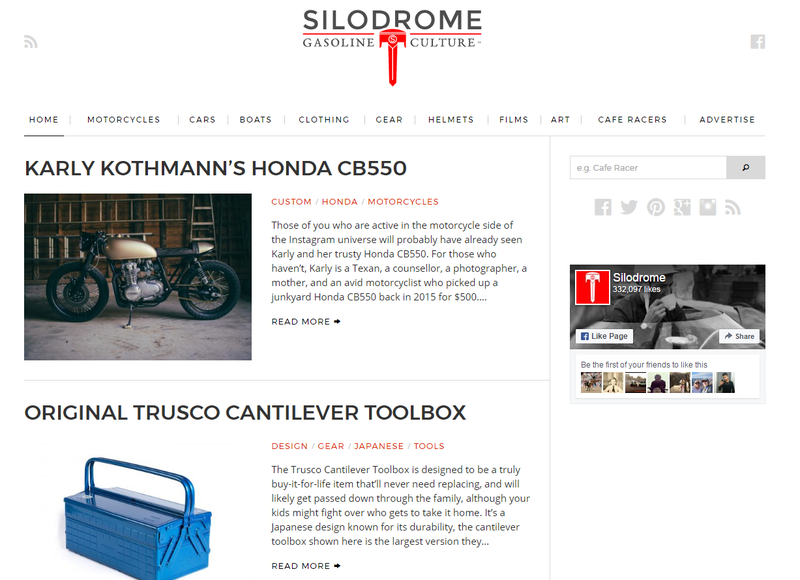 His blog which is one of the best motorcycle blogs available is packed with full of news, views, and reviews connected to the word of custom bikes. It has become the go-to page for up to the minute information and informed unbiased comment. 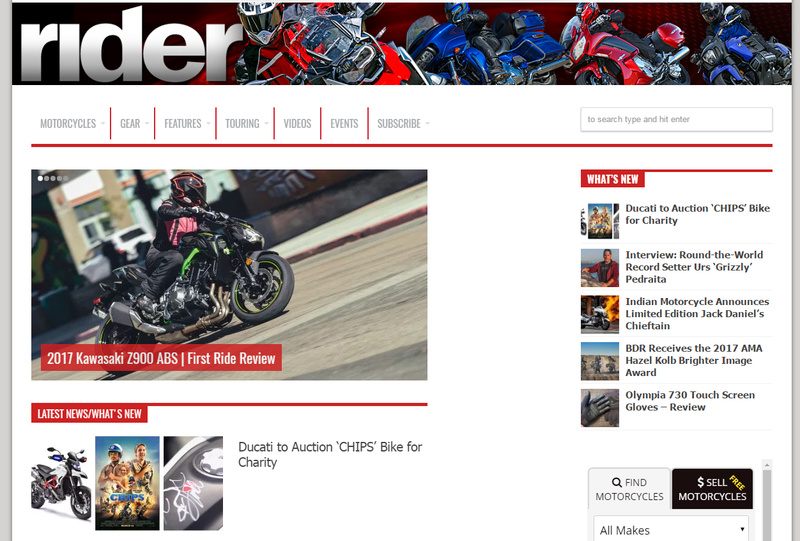 With a front page so packed full of articles, news, forums and back-edition ride reviews it will have your eyes rattling around like a pinball machine. 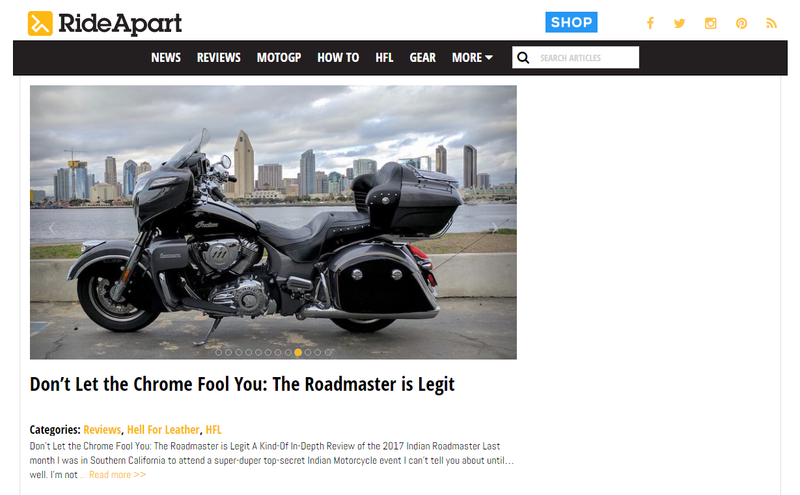 With a mind-numbing 5.82 billion hits since it started 17 years ago, it’s no wonder it’s the US’ top motorcycle website. 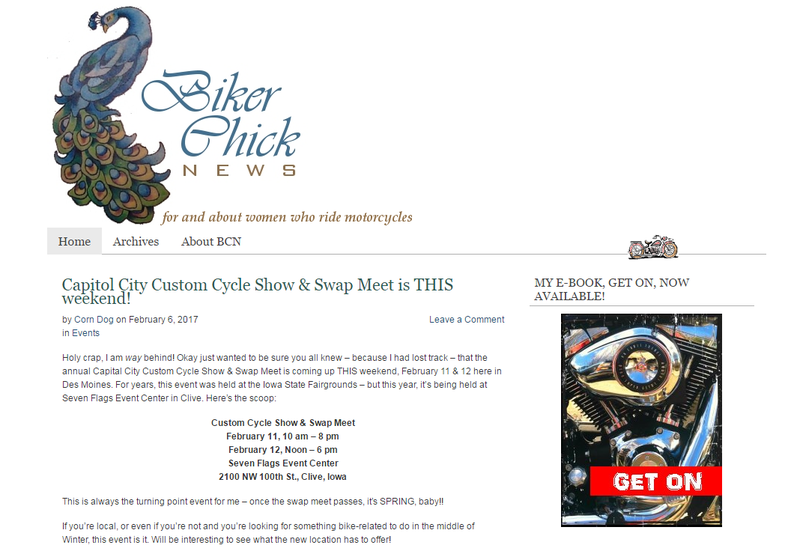 Journalist, motivational speaker, and longtime biker Genevieve Schmitt have been producing this site for over a decade. 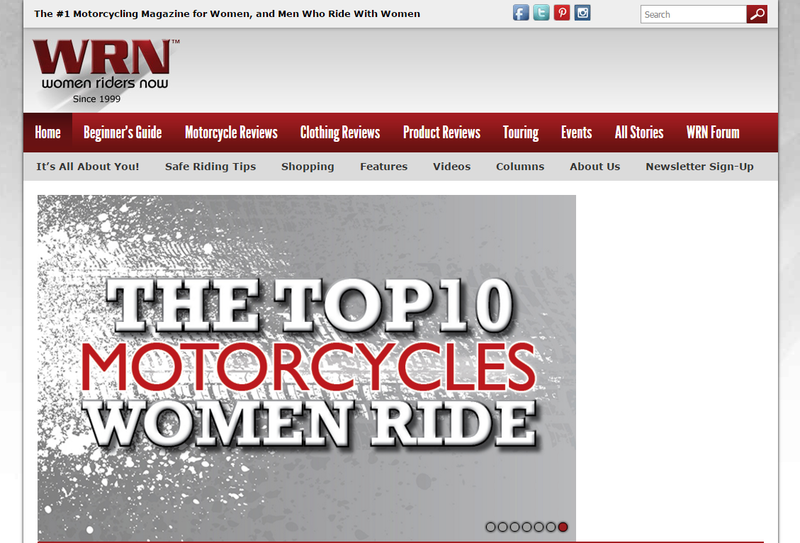 The largest of its kind, with articles, reviews, and information specifically for the﻿﻿ fe﻿﻿male rider, which according to Genevieve is seriously lacking in the motorcycle industry. 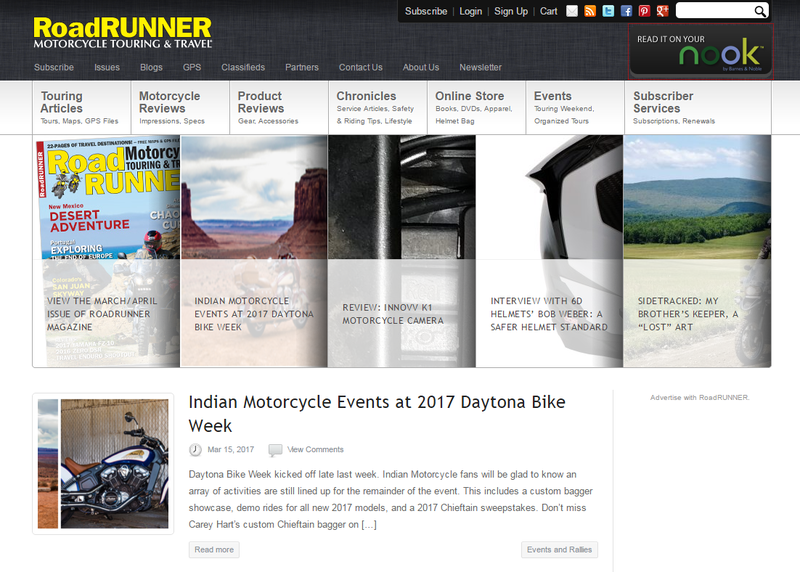 Comprehensive e-zine for the dual-sport adventure riding community. 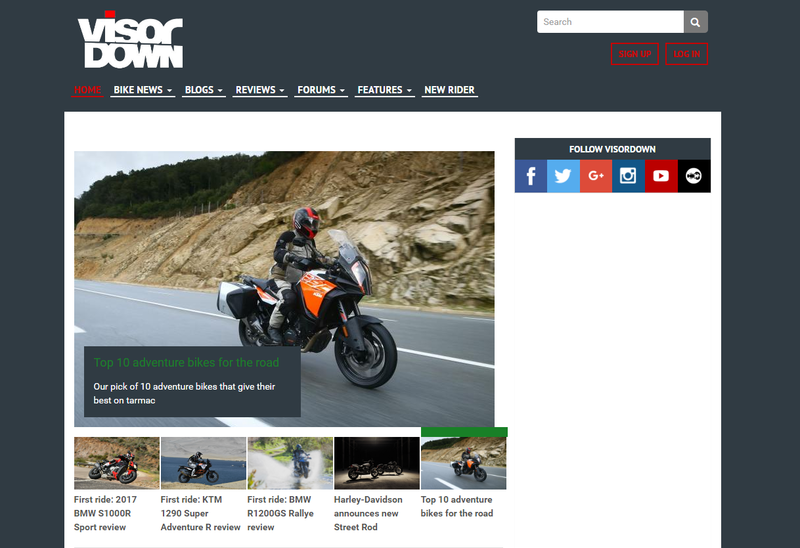 Industry related news, road/dirt tests reports on current adventure bikes and reviews on gear and kit. A full section is giving information on events worldwide. Full edition is via subscription. Freelance journalist, author, and much-traveled bike rider. Carla’s blog features trips, thoughts and things that she just feels like writing about. No updates for quite some time, but the section on biking in Baja is an interesting read. Norman Gregory Fernandez Esq. 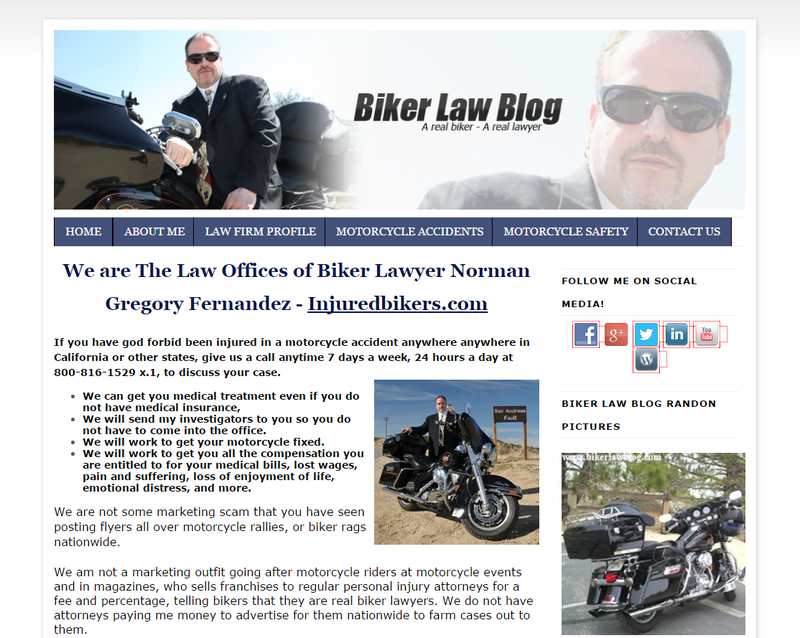 AKA the Biker Lawyer is a California-based attorney who specializes not surprisingly in representing motorcyclists who’ve been involved in an accident. 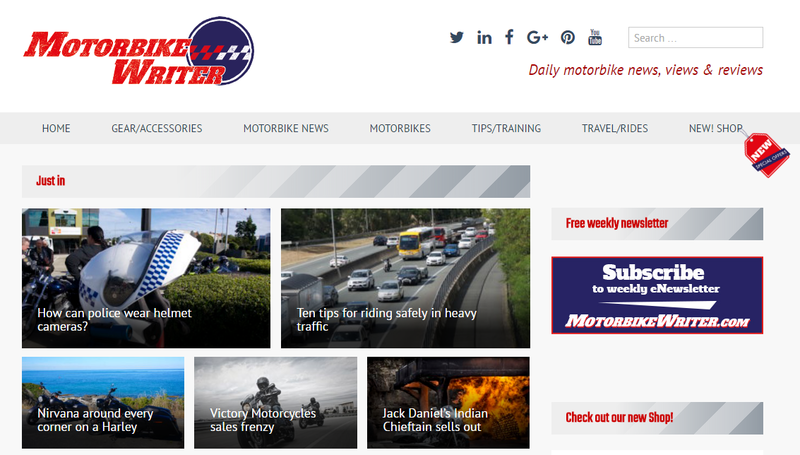 The blog is a mix of bike related news updates, tales from his road trips and useful information on biker-related law issues. If you read the words, ‘go fast, and turn left’ and know what it means, then this is the e-zine for you. It’s all about flat trackers and the irreverent lifestyle that surrounds them. It points you towards their four editions per year hard copy mag but there’s plenty to read. 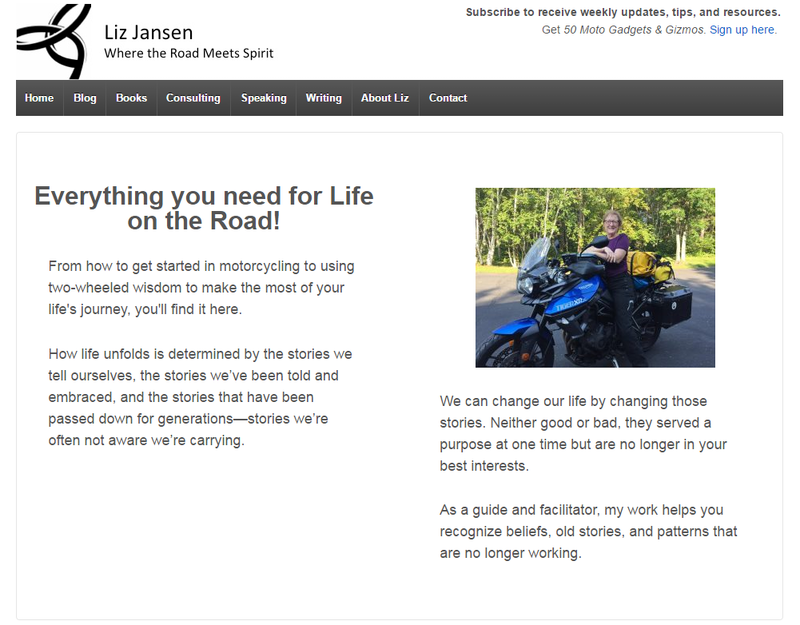 Freelance writer, prolific author, and self-help guru Liz, uses her motorcycle adventures and mishaps as a metaphor for lifestyle journeys and change management. 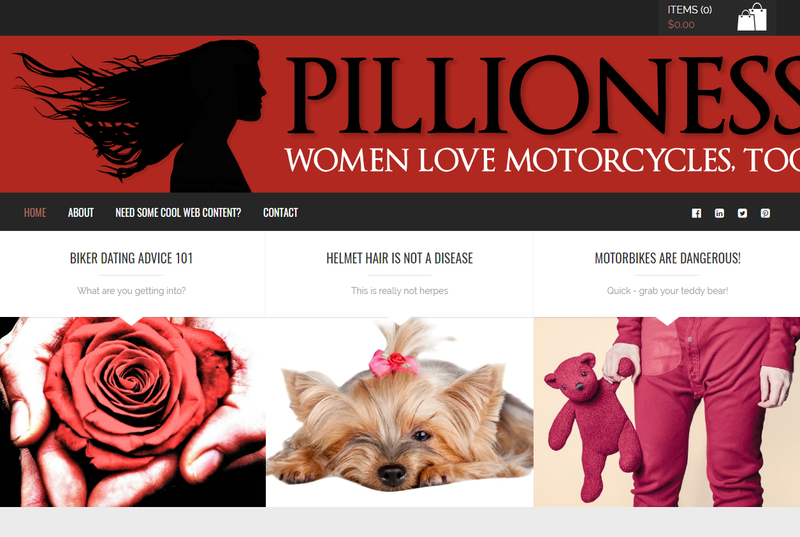 Usually updated once a week and you can check out her ‘Life Lessons from Motorcycles’ series here. 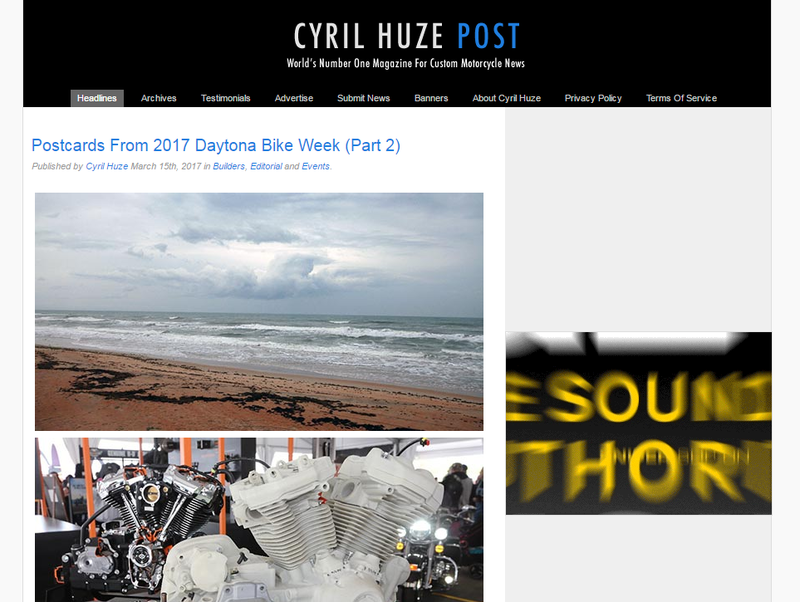 Ozzy journalist and biker, Mark Hinchliffe started the site four years ago, with the intention of providing bike reviews, industry news, and topical motorcycling commentary for a global audience. 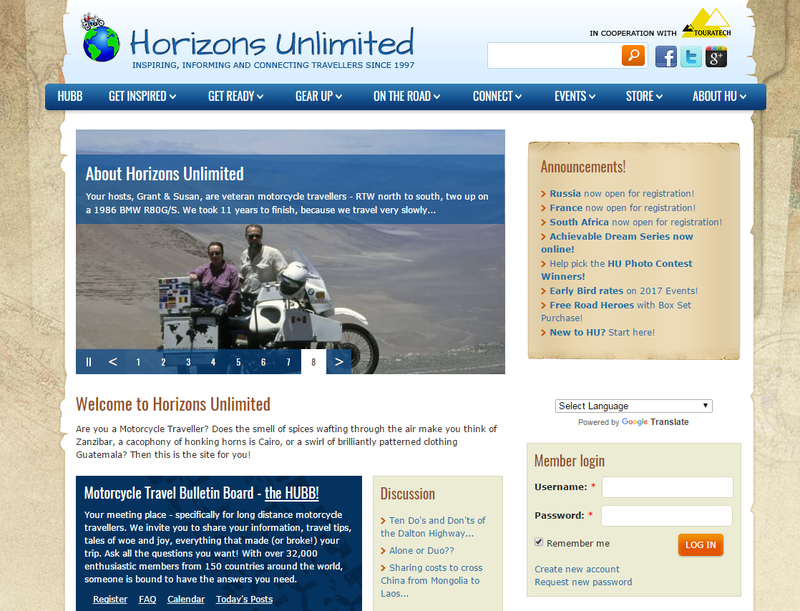 The site is user friendly and is generally updated every day. Try reading the web address without thinking of the Beatles. New York biker Rachel, is better known as ‘Fuzzy’ since the popularity of her blog. The blog mostly deals with her travels around the United States and her love of weird stuff that she finds along the way. Chatty feel and great photography. 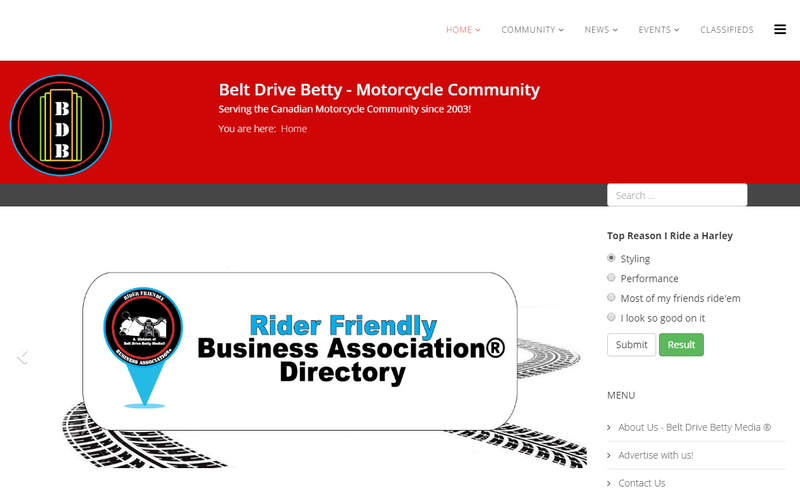 Belt Drive Betty better known as Renee Charbonneau, has been active in the Canadian biker community since the late 70’s. 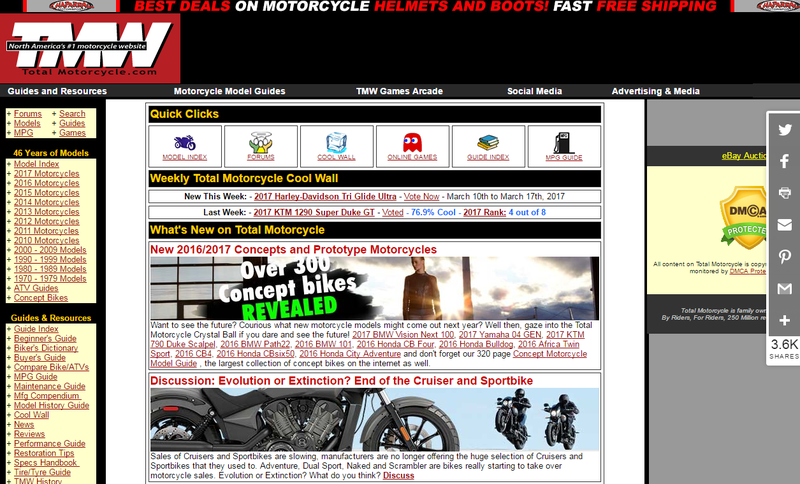 Starting with a local newspaper for bikers and adding this site in 2004. News items, in general, are re-blogs, but the community feel of the place is very evident. Extensive events calendar. 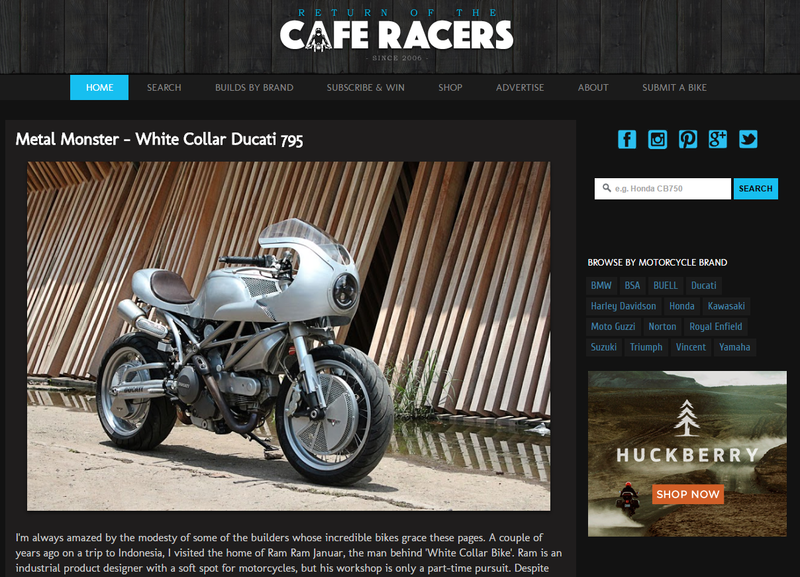 Baltimore-based café racer blog is promoting the culture, people, and events of everything CR. Stand-out photography in the review section, but updates and new posts are a bit sporadic. Check out their Facebook page if you find yourself in need a café hit. Blog site is recounting the musings and two wheel wanderings of Portland-based Bill Dwyer. The main emphasis appears to be his 20,000 miles, a five-year solo odyssey to Argentina. After which, he returned to write a book about it and promptly disappeared. Read all about his adventures here. 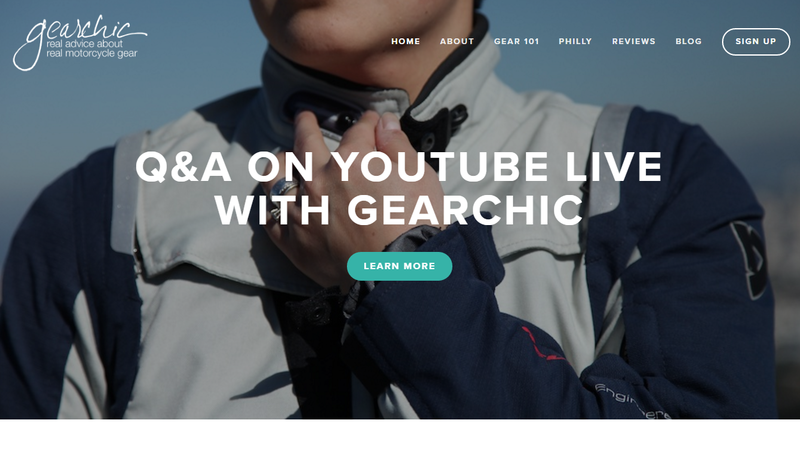 The big bright blog is concentrating on protective clothing reviews by Philadelphia resident and Triumph rider, Joanne. Dedicated specifically to finding real gear, for real women, with real curves. Nothing is sold on the site, so reviews are in-depth and unbiased. 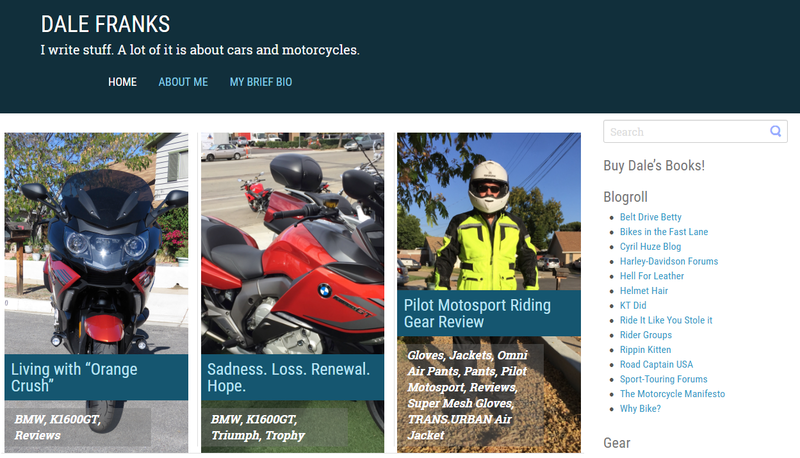 A self-named personal blog where political journalist and general tech guru, Frank recounts his return to the biking world after an absence of 20 years. First buying a Sportster, then an FJR1300. You can also read a review on his new six-cylinder BMW tourer here. Biker gal, great two-wheeled traveler, and conservationist Alisa Clickenger, documents her adventures around the world. Passing on hard-won knowledge, she's accumulated on the way. 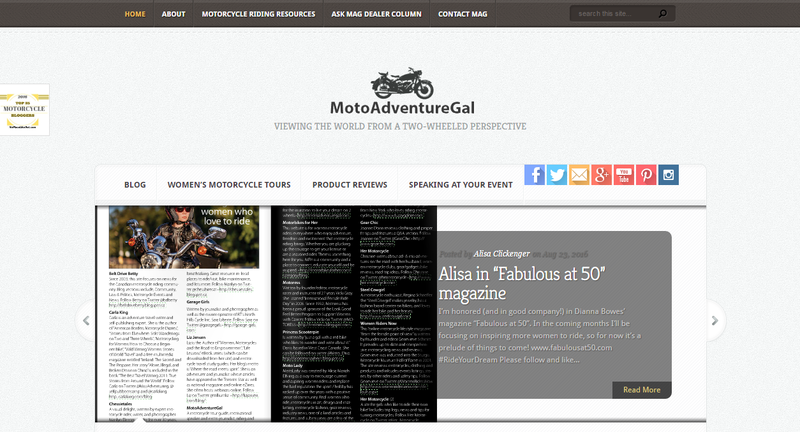 Alisa also runs women-only motorcycle tours. Whether you're just contemplating it, or about to commit to the big bold world of biking, this is the site for you. There are reviews on learner-friendly bikes as well as clothing, kit and ‘tips' section that answer all those questions you were afraid to ask, like this. 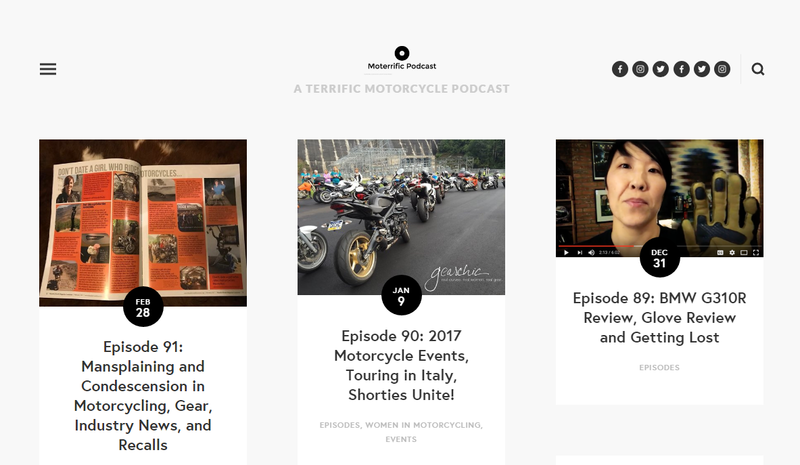 Podcast massive website from a self-confessed gearhead, Joanne Donn of www.gearchic.com fame and epic adventure rider Cristi Farrell who cut her biking teeth on a 40,000-km skip around South America. Don’t worry if your download speed isn’t up to it, there’s plenty of conventional ‘life on the road’ ﻿﻿articles to read. 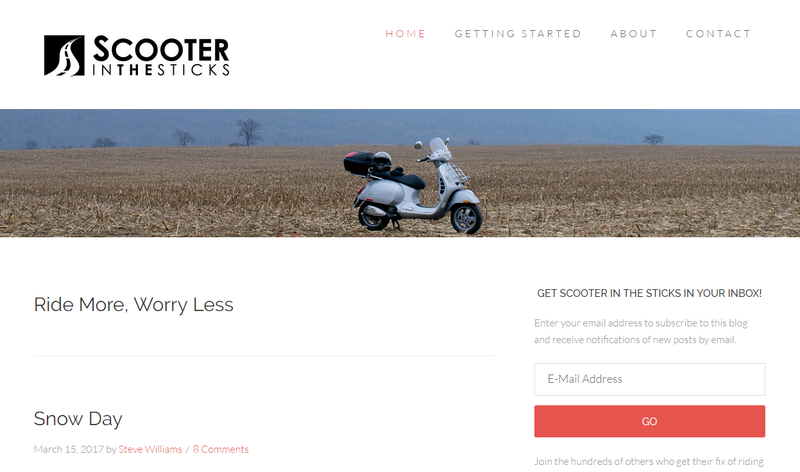 Slick looking pro-site that merges the worlds of technology and transport. Started by partners Serhan Perincek and Hermione Way with co-founder Indy Car sensation, Collete Davis. 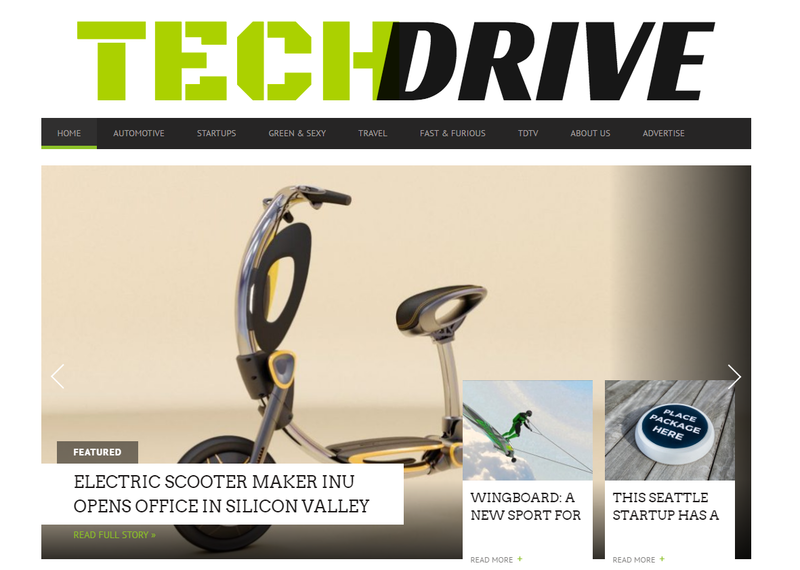 Packed with content, rotating front page stories. New posts, however, are thin on the ground. Plenty to read for anyone who loves futuristic travel and iPhones. Confirmed helmet nut Karl Steinmeyer’s site features motorcycle helmets from the sublime to the ridiculous and everything in-between. 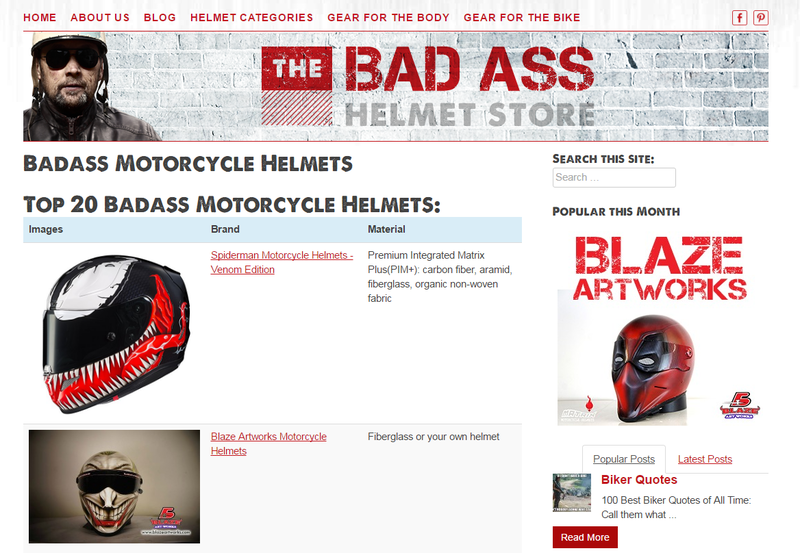 Now also sells related clothing and gear and there’s even ‘how to’ guides on customizing your own lid. Watch out for Karl's own line of helmets in the future. You can thank Liz Hardy for the only website written from the perspective of the back seat. And with over a quarter of a million km sitting behind husband Pat, she should know what she's talking about. Big bright colorful blog, not massive content but good stuff like this. Basic blog but content heavy with archived posts going back to 2011. Mostly dealing with accountant and motorcycle adventurer Greg’s life-altering 65,000 km trip covering the four corners of the Americas aboard his trusty Honda Varadero. And yup, you guessed it, he even wrote a book about it. 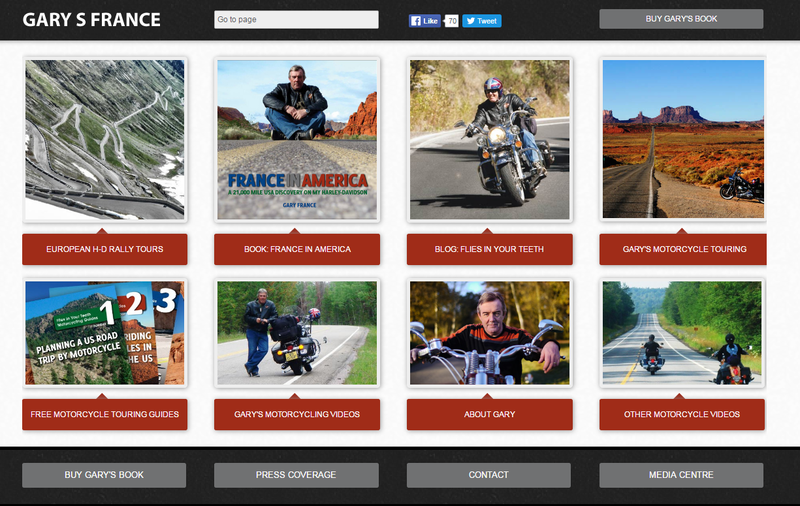 The website is tracking the evolution of midlife crisis biker Gary France and his switch from project management to Harley-riding tour guide. The site has no navigation bars to help you move around but there’s plenty of content on the man, his exploits, and his HD tour company. 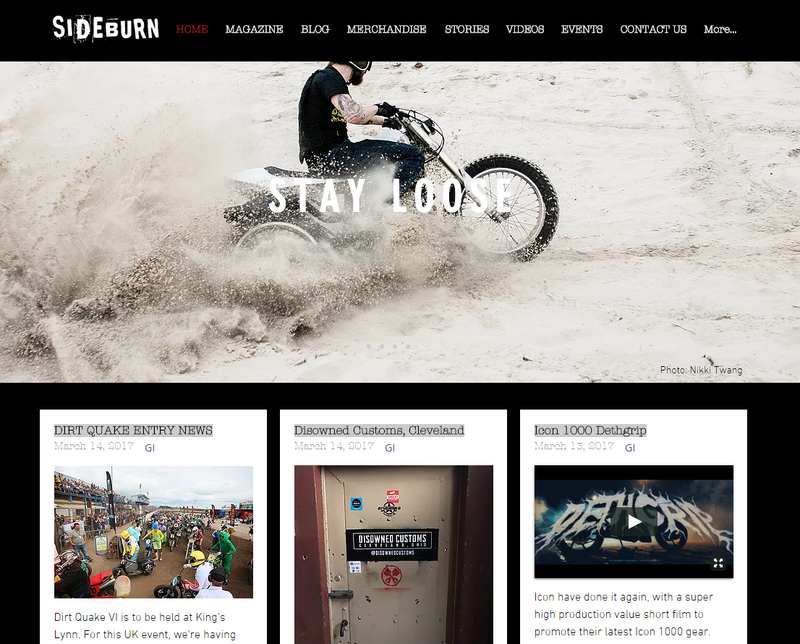 Multi-media site that tracks the exploits of Chase and his two-wheeled escapades. The site is basically a showcase for his YouTube channel and being a multimedia kind of guy, he tweets about everything he does too. Plenty of v-blog road tests and he even has his own range of T-shirts.